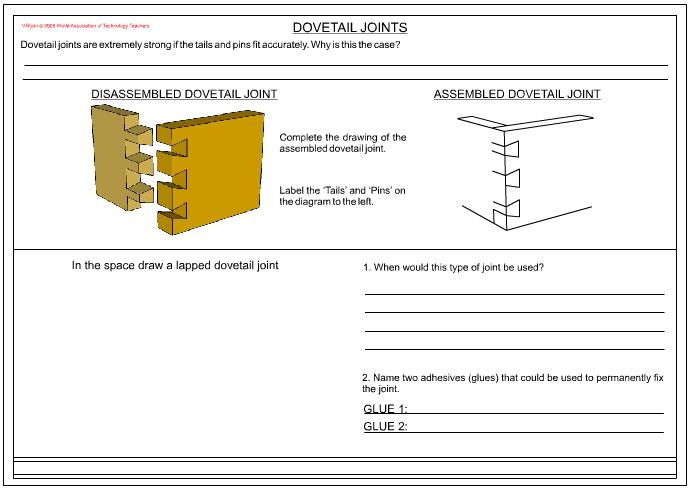 The ‘DOVETAIL JOINT’ is very strong because of the way the ‘tails’ and ‘pins’ are shaped. This makes it difficult to pull the joint apart and virtually impossible when glue is added. This type of joint is used in box constructions such as draws, jewellery boxes, cabinets and other pieces of furniture where strength is required. It is a difficult joint which requires practice. 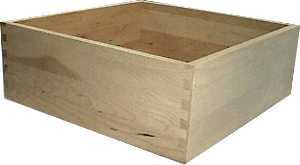 There are different types of dovetail joint and when cut accurately they are very impressive and attractive. 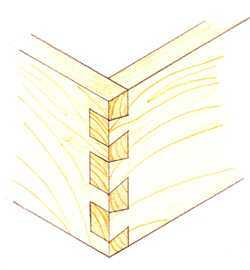 This type of dovetail joint is often used for drawers where the joint can only be seen from one side. The joint is very strong as are all dovetail joints. 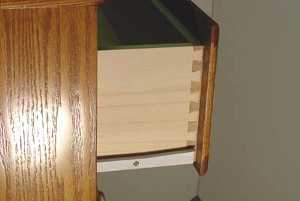 This type of joint is sometimes used as the joint for book cases and cabinets. Draw a joint that could be used for a cabinet. The joint must be permanent.